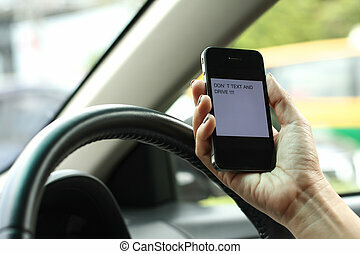 Texting and driving. 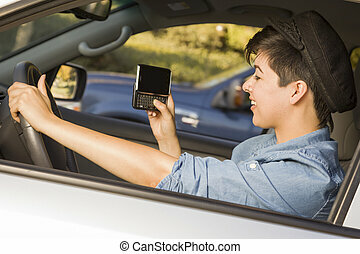 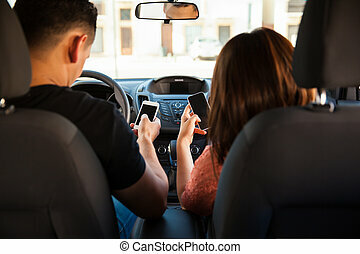 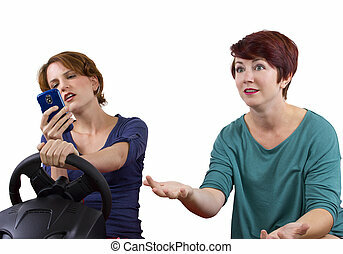 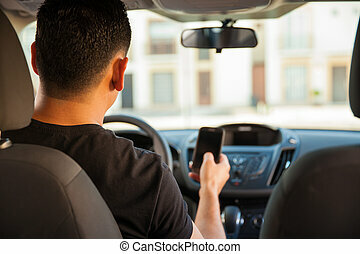 Closeup of a smart phone with a female hand texting and driving. 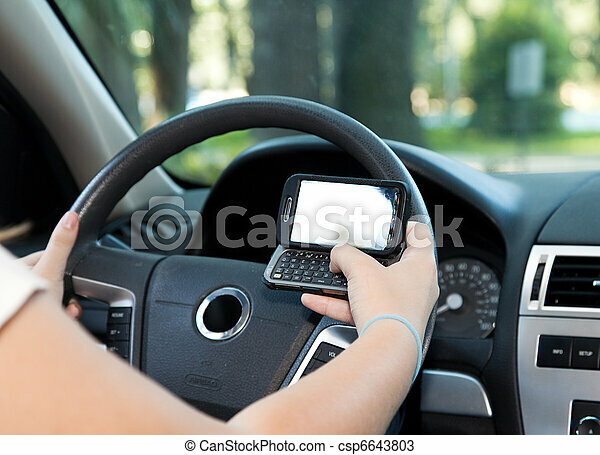 Closeup of a smart phone with a female hand texting and driving. 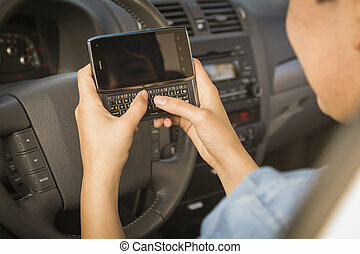 Texting and driving is dangerous and no unsafe. 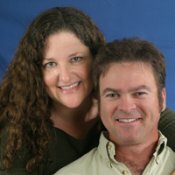 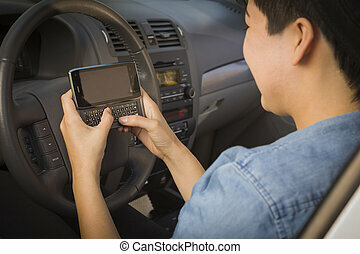 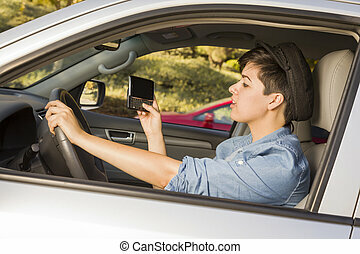 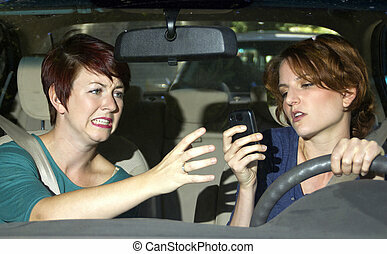 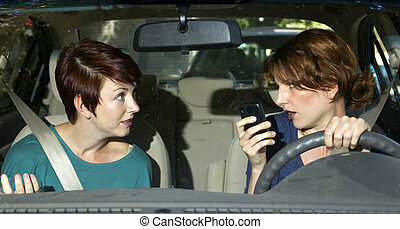 Mixed Race Woman with Smart Phone Texting and Driving. 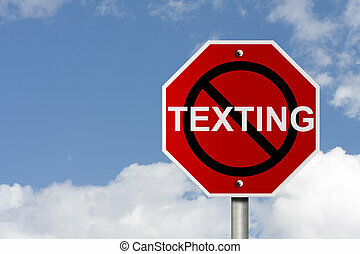 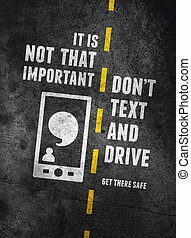 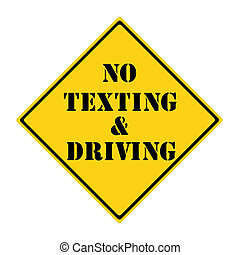 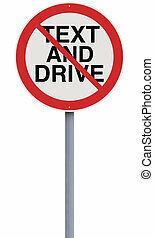 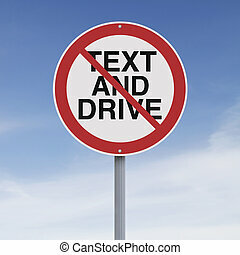 A yellow and black diamond shaped road sign with the words NO TEXTING AND DRIVING making a great concept.